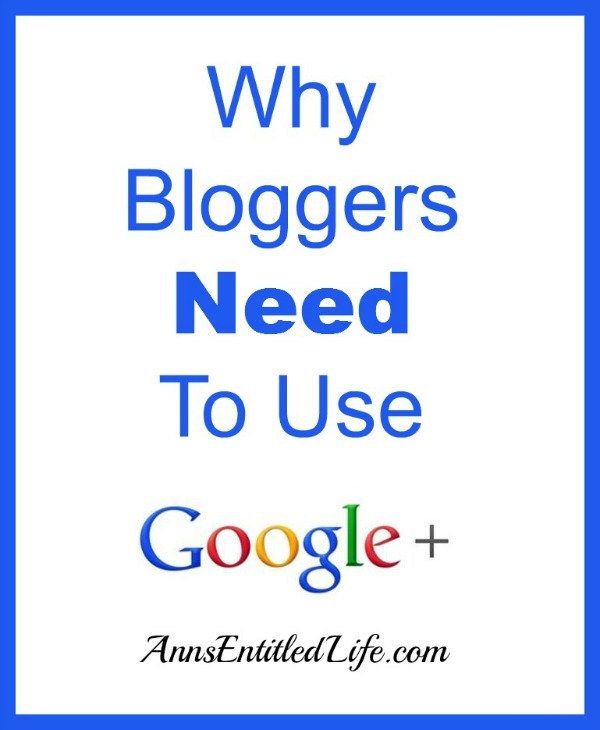 Why Bloggers Need To Use GooglePlus – For bloggers GooglePlus is essential for promotion. Here are some tips for bloggers using Google+, the benefits for bloggers using Google+, and some good practices for bloggers to consider when using Google+. 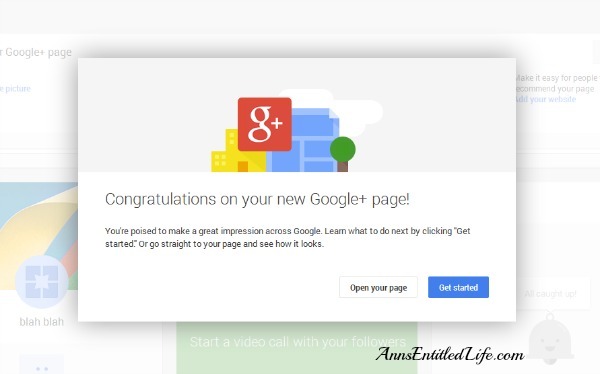 Last week I went into the basics of Google+ for new users. This week I’d like to speak directly to bloggers as to why you should be using Google+. and I wouldn’t be too far off. Google+ may be Google’s “social layer”, but it is also deeply tied to the Google search engine. For new blogs, G+ is essential. 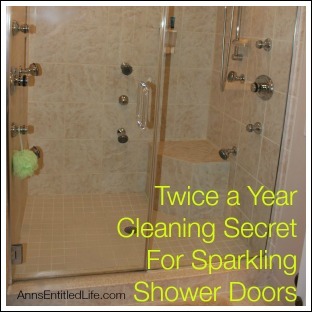 When I started Ann’s Entitled Life last year I was coming off a fairly successful stint as a deal blogger. I was used to a lot of search traffic; Google paid attention to that old blog! So, when I started my new blog, I expected the same treatment; Google was going to pay attention to me just as they always had, right!? This is where I laugh maniacally at my hopes and dreams for search engine traffic. Google had no knowledge that Ann’s Entitled Life was written by a non-spammer with a semi-decent following, and frankly wouldn’t have cared if they had known. I could be one of those horrible spam-bot-pr0no-freaks trolling for unsuspecting clicks to convert into millions of dollars via adsense as far as Google was concerned, and until I proved otherwise that was how they were going to treat my new blog. Can’t be too careful in the search-engine business I guess. So, in desperation I started a Google+ business page a few weeks after I began the new blog. Less than three weeks later, one of my posts got 1100 hits from search, and Google hasn’t ignored me since. This isn’t anecdotal either; I’ve advised many people with a new blog to get on Google+ asap to attract Google-engine notice for their blog. In three weeks or less after starting to diligently share on G+, they have all reported being noticed by Google’s search engine. Those who have been blogging for any amount of time know search is a great way to get traffic, and hopefully convert those people into new readers, or at least garner a sale or adsense conversion from that search traffic. We all spend a lot of time working on SEO and pleasing Google (the rest of the search engines seem to follow what Google does, so SEO is all about pleasing Google). Well, few things seem to please Google more these days than dropping a link onto Google+. The reward is instant indexing of that Google+ post. Eventually your blog post itself will catch up and make it into the search rotation, but that G+ post makes it right away. The more that G+ post is shared, commented on and +1ed, the more weight Google seems to place on the post. This again, is good for search. Note: you will see me write “seems”, “could”, “may” impressions instead of “will”, “does” and “can”, which are much more likely-to verbs. This is because Google is ever changing, and what may be an absolute as we know it today, could be antiquated tomorrow. In my (inexpert) opinion, you will do more good for your blog via search by posting to G+ than any other two second tweak you can do for SEO on your blog itself. Now that is not to say you give up the longtail keywords, the h2s, the meta or anything and everything else associated with your excellent, steady SEO practices. I am just saying that if you are looking for something easy to do that will help your search placement quickly, G+ fits the bill. I used to have a SEO company do work on my old blog. They taught me a lot about SEO over the course of the two years I used them. One thing I will never forget was being told early on in the days of G+ was that the SEO companies “think” that +1s are considered linkbacks. And we all know how Google looooooves a good linkback. I will say that G+ certainly seems to like +1s, shares and comments, but no one really knows the exact weight those interactions have on getting your post indexed higher in Google’s search algorithm. So, do you just slap up a url on G+ and run? Many people wonder if they should post to G+ under a personal page or a brand page. There is no one right answer. You personally (your name) may very well be your brand. In that case, posting under your personal account may be the correct decision. However for many other people, posting as a business is the way to go. Why? Well, let’s think of it in terms of how you will interact with followers on Google+. Personal is just that: your personality. I am going to post and share jokes, landscape and travel photos, tech stuff, recipes, local articles, etc under my personal profile. It isn’t all BLOG, BLOG, BLOG, BLOG. People would probably get annoyed if all they ever see on my personal page is my blog posts and nothing else. However, if my business page only has my blog posts… not unexpected. People are following for updates, and they are getting what they expect. 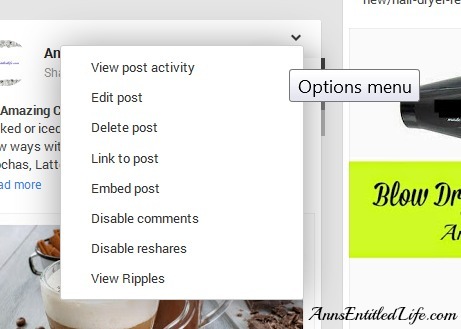 If you share things that aren’t directly related to your blog itself on your business page – bonus! But it isn’t really expected. For myself, I have four G+ pages – one (1) personal, three (3) business (one for each of my different blogs). The three business pages basically get the updates for that specific blog’s postings, and not much else. I used to share more, but then I just sorta delegated that to personal and left the business to business and the personal to a bit of business and a lot of personal interests. The people that follow my personal page have some intersecting interests, many of which were found through hashtags. On my personal page, I do not share all three blog’s updates. 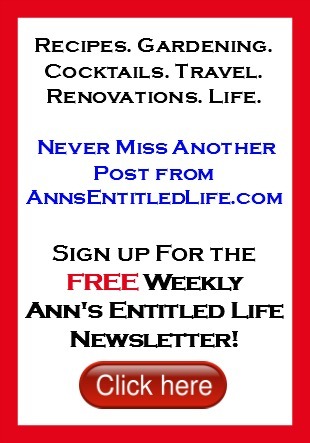 I only share one blog (Ann’s Entitled Life). The rest of the entries on my personal page are reshares, interesting articles I find online, jokes, etc. Now, that doesn’t mean you need to do the same thing – I started on G+ back in beta, so saw what it “should” be about (as made “mandatory” by the geeks that originally fell in love with G+) posted on what type of page (business vs personal). As I said, no hard and fast rules; there is no Google+ police that mandate you must use a business account. Your followers will let you know (by whether or not they continue to follow you) if the G+ path you choose works for them. Let’s say you think a business page is for you. 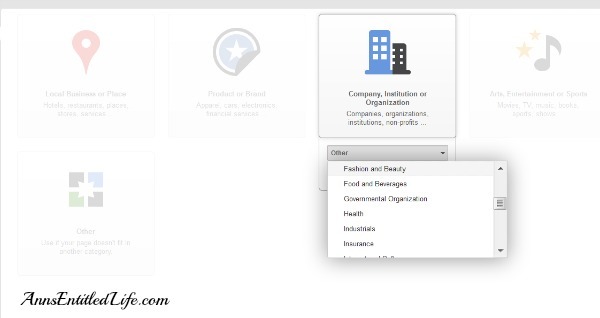 Creating a new business page is simple! Just sign into G+ under your personal account, click “pages” under the drop-down menu on the left, and click “create a page” in the upper right. Make certain you fill out the information to set up your page, as well as upload a new header that is consistent with your blog header for branding purposes. Use the same email that you used for youtube to make your life easier. You can add that email if you neglected to do this. Tie your analytics email too, and you can get a quick snapshot of your google analytics (and click right over to your full analytics) from you dashboard. Whether or not linking these products in the future will matter, I do not know. You can also add managers to your page that will also be able to go in and post status updates, etc. Like all other forms of social media, you want to make your G+ post as attractive as possible to encourage engagement. Upload a good, clear photograph. Make certain it is watermarked (you know how that goes and why you have to do it). If it doesn’t have descriptive text, G+ gives you the ability to add text right there and then. This will now be bolded when my G+ posting goes live. Like h2 in your post, Google pays attention to Bold in G+. Now, type a descriptive text message. I use my meta description a lot here for consistency, but sometimes I switch it up and just talk to my followers. 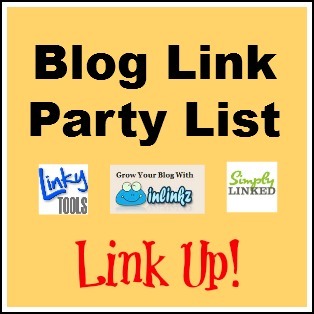 I now add my blog post url to that update. VERY important. How else will Google track that wonderful content if they don’t have a blog-post-url to refer to? 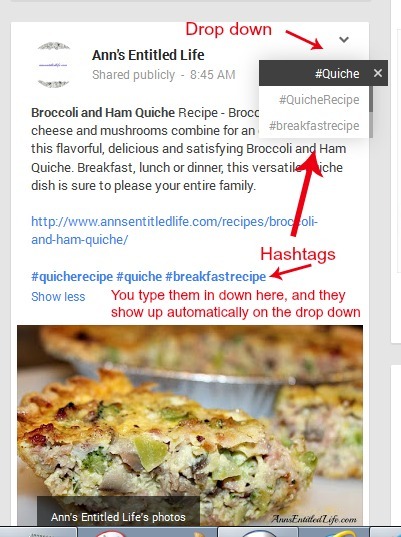 If you have hashtags checked in your dashboard, G+ will automatically add up to three for you in a post, relating to the words you used in your post. Hashtag explanation. Once I upload my photo, I add a few hashtags. There are NO hard and fast rules about how many, or how few, hashtags you should use. Three is the maximum number Google+ will assign to your G+ posting based on the words in your title and text (assuming your title and text match known hashtags, sometimes I get two, sometimes none when I am lazy and let Google do hashtags for me), but there is nothing to say you must use three hashtags. One bit of advice though: do not use 10 or 20 or 30 hashtags on a G+ posting or only hashtags with your URL and nothing else. No one is going to share that. You may think you will get into more streams that way, but that is about all you will do for your post. Think about it – would you share a posting with 20 hashtags and a url? I didn’t think so. Just say no to a bazillion hashtags. Now you are finished. Post that G+ update! Some people use hootsuite, dlvr.it or another protocol to autopost to G+. While autoposting is better than nothing, that is about all autoposting has going for it. Your photographs will not be as large via an autopost as they would be if you uploaded the photos (or dragged and dropped). And remember, like Pinterest, G+ is very visual. If you have a horizontal photo, you will get the very nice, new “scissor effect” photo that is fairly large. But if you have a vertical or square photo, your picture in your G+ posting is going to be pretty small unless manually uploaded (or dropped in). Instead of doing everything I just stated above for a share, you can just drop the URL into a new G+ posting. Google+ will grab your photo, and if it is horizontal, they will also grab your text. Basically they do the work for you. The negative is for a square or vertical photo – they will come out as small thumbnails with only a title, and they will normally be ignored in-stream. You will find that there is usually more than one way to do/find everything in Google+ – hashtags, photos, urls, notifications, etc… all have more than one way to post-find-see that information. Some ways are easier than others. Some ways result in more engagement. Some ways, more information via stats. Google wanted to make this easy, and they honestly succeeded with shortcuts everywhere. But sometimes the long way is worth it. And making a Google+ posting is one of the long ways that is worth the effort. Since this is technically a social media, that means you need to be … er, sociable. I frequently go through my Google Plus stream +1ing, leaving comments and sharing articles. Heck a +1 takes but a second, and I know how helpful it is to my fellow blogger, so I try and +1 early, and +1 often. My shares are, of course, much more focused. Since my blog isn’t really any one thing (except how Entitled I am), I am lucky in that I can reshare just about anything from jokes to recipes to blogging advice to Google seo articles. If you define yourself by aligning with a very specific niche, you may want to stick closer to that niche when you reshare. In your dashboard, you can also see “notifications”. These are actually more accurate than “view ripples” to see where your post has gone on G+, and what posts have been successful (other than your share counter on your blog). You can see what content went where, and it may help in determining if future posts on the same type of content should be written. But, if your “view ripples” isn’t completely accurate (at least mine never seems to be), you probably won’t know everything you’d like to know about where that Google+ post was shared and reshared. Bummer. To discover how many posts you have indexed from G+, use a simple advanced search operator to discover how many personal, business or community posts have made it into Google’s index, and are still there. In GOOGLE SEARCH, use site: followed by your numeric 21 digit Google+ profile ID or vanity URL including the https:// protocol. Currently, number of followers on Google+ does not matter. I see many people trying to get more followers via follow-circles, and that is great if you like numbers for the sake of numbers. What you really want, is many, many, many engaged followers that will +1, share and comment on your Google+ post. Because views are currently visible on G+, I can see that some people with 200 followers have 3 million views, and I have seen people with 15K followers with only 100K views. If you would like to participate in circles to grow your following numbers, that is great, especially if those circle followers are people who do engage! And if you want to grow your numbers more organically, that is great too! Just realize that numbers and views don’t always align as you think they would on Google+. If you want to gather engaged followers quickly, hold regular hangouts. If you are an expert in your field people will flock to follow you for those hang-outs! Open Google+ and click Home in the upper left corner. 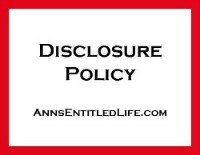 Check or uncheck the box to the left of “Show how many times your profile and content have been viewed. Android / Mobile Web / iOS You can’t adjust this setting from your mobile device just yet. Please use a desktop computer to hide or show your view count. View counts may not be exact, and they may not be updated in real time. 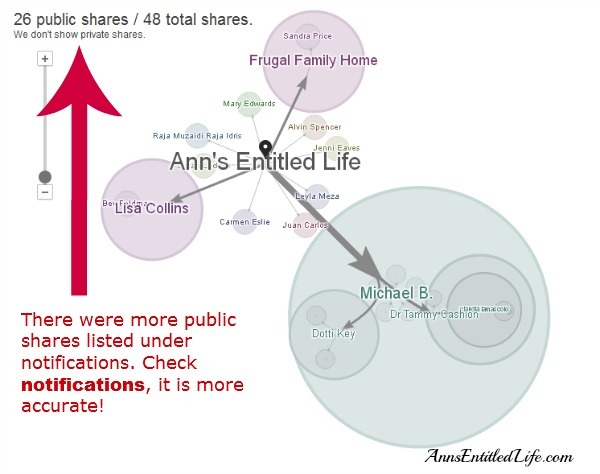 Quick note: if you are going to share directly with anyone, make sure there is a good reason for a direct share! Don’t do it for every post, don’t do it for any post –unless there is a compelling reason behind that direct share. Direct sharing is the fastest way to you to get unfollowed, and blocked. It is annoying. Don’t do it without a compelling reason. Now I am going to go off on a slight tangent and tell you to make sure you have Google Authorship set up, and both an authorship widget and Google publisher code on your site. Google search pays attention to Google+, so make it easy for them. To prevent this from becoming a novel, I am going to recap, and let you explore the further wonders of G+ for yourself. Please don’t hesitate to ask questions. This is barely the tip of the iceberg in what Google+ can do for your blog, and I will be posting several articles over the next few weeks that deal with Google+ more in-depth. I will tell you that for most bloggers at the moment, G+ isn’t really a direct traffic source. Oh I am sure there are exceptions that get oodles and oodles of traffic from G+, but as a rule G+ is secondary traffic source to your blog via search. In conclusion, why do you need your blog on Google+? For search, for SEO, for SERP, for indexing, to rank when people look for pertinent topic, so you can be located for that pertinent topic. In one word: SEARCH. Oh, and you can also build a community, interact with readers, bloggers and brands. Are you a blogger interested in using Google+? Do you already use Google+? Why do you use Google+? What results do you see from using Google+? Are they direct traffic results, or search rewards? What questions do you have about Google+ that you would like answered? Google + certainly is more clean than the other social media sites! 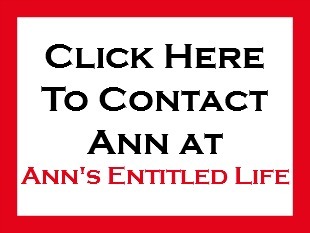 Sorry Ann, no matter how good your reasons, I am following on facebook and twitter and don’t intend to do Google+. Facebook is annoying with it auto switching from most recent to top stories all the time, but my fiends and family are there and they are not on Google+. No problems, Shell. It isn’t for everyone, I realize that. Just as I don’t like facebook and seldom use it (I do love twitter though), not everyone is going to love G+. However bloggers NEED to use it for more reasons than engaging with readers. G+ rewards us, and we need to take advantage of that reward to help even the SEO playing field with the big companies. I just read at Forbes that they are thinking about doing away with this too. I’ll still use it until they do if they do. Google+ denied any validity to the unsourced techcrunch article that started the recent “Google+ is dying” articles. Eh, we were overdue for more such articles … it has been 6 months, and they usually run those articles every 3 months. Thanks for the tips! I have just started blogging a few weeks ago and really need to work on getting traffic to my site, this sounds like a great way to do that. 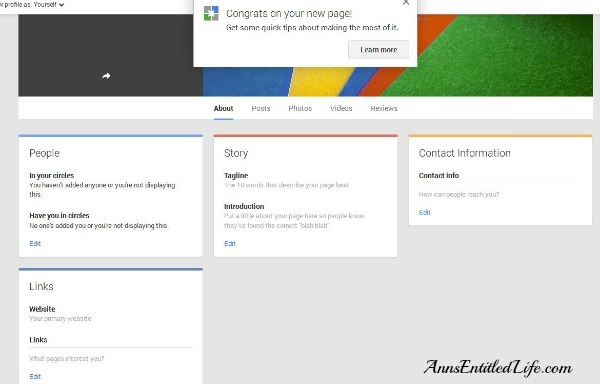 I have been using a personal G+ page, do I need to make the switch and start a business one? 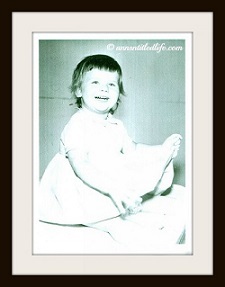 Thanks again, found you on Thrifty Thursday Link up.